Receives taxes from their subjects (slaves) in Canada and the United States. They design and control our financial and banking systems. The Pope wants to merge all the religions into one, which is absolute nonsense. The Pope broke off from the truth (confusingly referred to as The ‘Eastern Church’ or ‘Eastern Orthodox Church’ or ‘Orthodox Church’ or ‘Orthodox’) about 1000 years ago. Death camps and stacks of black plastic coffins that can hold six to ten bodies each, are piled high in a long train-like fashion, as far as the eye can see, in the United States, today. The “City”, also known as the “square mile” an area of 677 hectares in London is just like the Vatican City in Rome their own state. The City-State, pays no tax, has its own courts, its own laws, their own flag, their own private police at about 2,000 men, and a night population that underestimates 9000 inhabitants. Internationally they use the “Crown Princess” as a symbol of power but the real power belongs to the bankers and not the royal house. It is very difficult to gain an insight into the persons who effectively control the Bank of England. A name that leaked is Rothschild. Around 1483 Tomás de Torquemada was named Inquisidor General of Aragón, Valencia and Catalonia. His torturers and special militia were then blessed with being sworn into the highest sacred order of the Roman Cult — the SS or the Knights of the Sedes Sacrorum. As a military order of the Roman Catholic Church, the Knights of the Sedes Sacrorum (SS) were bestowed by the legal orders of the Roman Pontiff on behalf of the Mother Church to wage constant Holy Inquisition against all ‘heretics’, including assassinations, torture and counter-intelligence, to protect the name of the Holy Roman Catholic Church and directly represent the interests of the Holy See as its primary order of Holy Knights — the SS (Sedes Sacrorum) or Holy See. As a spiritual order of the Roman Catholic Church, the SS were bestowed with the extraordinary Roman Catholic grace of being forgiven for all their mortal sins (therefore can go to Heaven) that “unfortunately” must be done in order to observe its temporal orders. In others words, the troops of the Grand Inquisitor Tomás de Torquemada were the first religious military order to be granted “immunity” from Hell by the Pope on account of its acts of torture, terror and evil. The last open Satanic ritual sacrifices under the Holy Inquisition was in the early 19th Century. By the beginning of the 20th Century, there were less than a few hundred SS soldiers still assigned to the Holy Inquisition. However, upon the appointment of Fr Heinrich Himmler S.J. in 1929 to the NSDAP in Germany, a new Nazi SS (Knights of the Sedes Sacrorum) Army of several hundred thousand was created by 1939 to wage the single greatest Inquisition ever undertaken by the Roman Cult — with over 18 million innocent people burned alive in ovens in Russia and Poland. The German SS were disbanded at the end of World War II, with the Roman Scroll of the SS being handed to the United States SS (Secret Service/Sedes Sacrorum) by 1945. The United States SS was officially created into a military/spiritual force after the assassination of President William McKinley in 1901. In conclusion, the Vatican is not a place of love and peace, as one might imagine. It is a place of dark rituals and great secrecy. Their purpose is to take away the freedom of our species through indoctrination, fear and control. 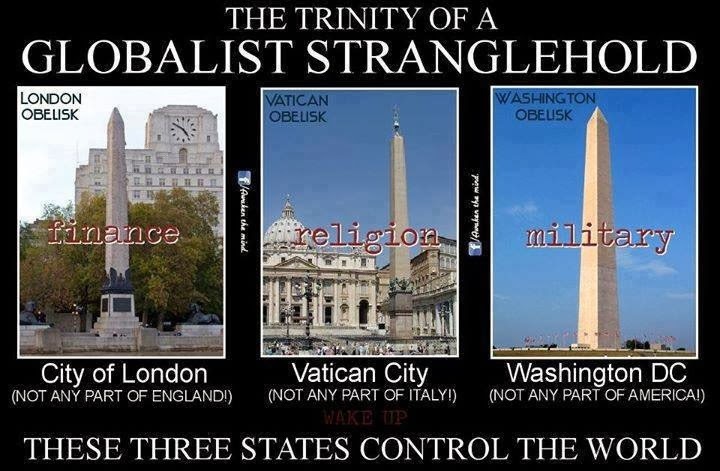 And because people fear what they don’t understand, the influence of the Vatican and the Catholic church is immense — greater than any army, tyrant or government. They are also the greatest financial power on Earth and they will continue to exercise their influence for as long as the human species will continue to give its power away in exchange for an illusory salvation.